More durable. 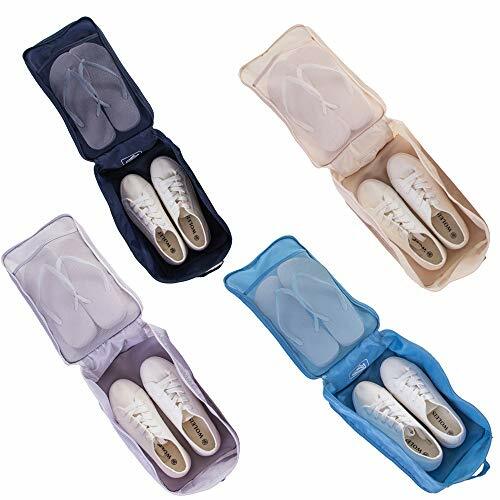 The travel shoe bags adopt waterproof nylon fabric with double stitching and two-way zippers, which is more durable to use. More space. 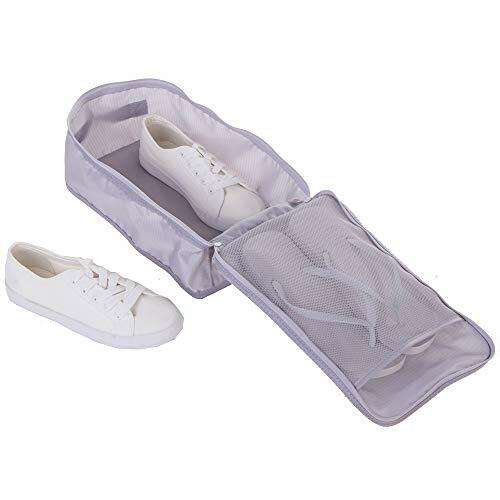 With foldable shoe box design, the shoe bag is equivalent to the capacity of the X-large size (17” * 9”) shoe bag after deployment while only weighs 60 grams each. 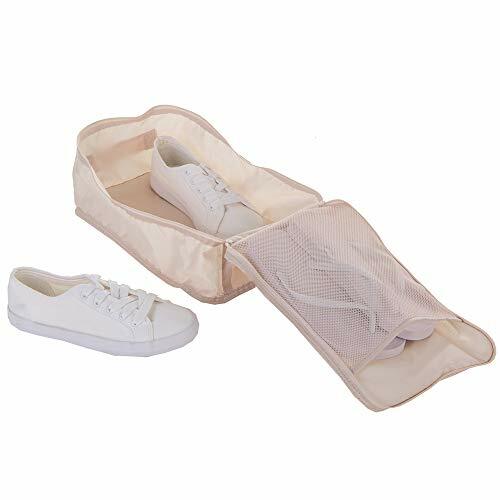 With inner layer of mesh cloth, you can keep one more pair of slippers. Perfect size. 12.2(L)”*8.7(W)”*4.7(H), large enough for men shoes between size 10 and size 14. 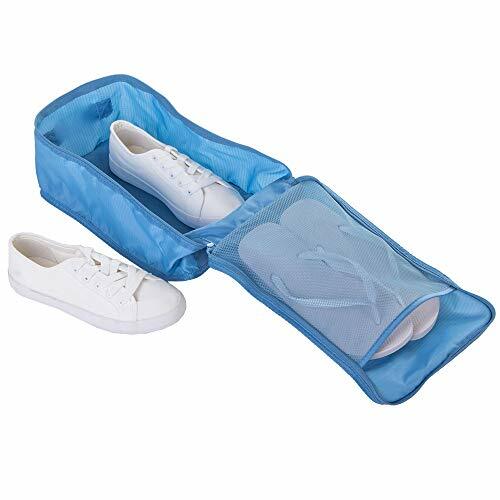 You can store one pair of sneakers and one pair of slippers in one bag. 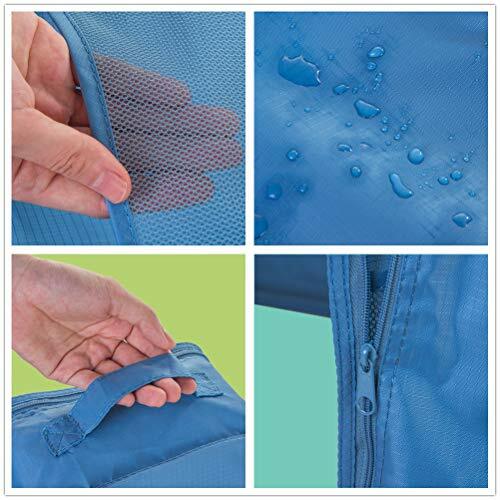 Not only a shoe bag. 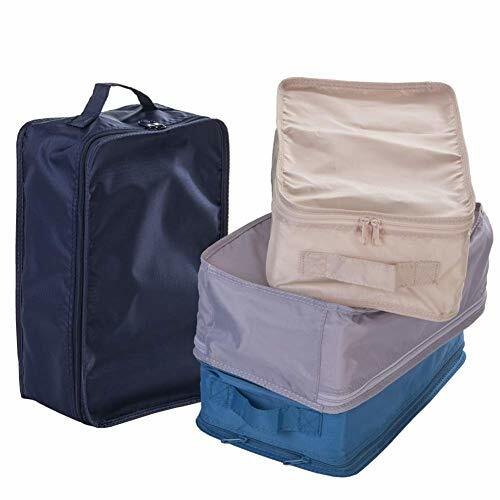 You can also use it as packing cubes, toiletry bags, underwear organizers or laundry pouches, just as you like. Not only for travel. 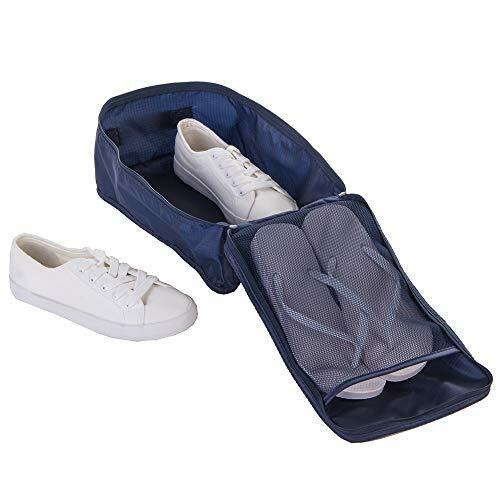 The bag also can be a nice home organization tool to hold your change clothes or shoes of the season.